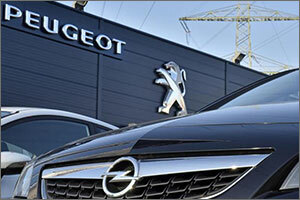 On Monday the French car PSA announced that it would commence the assembling of Peugeot and Opel brands in Namibia during the second half of 2018. This Investment agreement is agreed upon with the Namibian government. In this project PSA would reach the production capacity of 5,000 vehicles per year by 2020, at the plant which is located in the port town of Walvis. The investment is part of the "long-term strategy of Groupe PSA to increase its sales in Africa and the Middle East, consistent with our target to sell one million vehicles in 2025," said the executive vice president for those regions, Jean-Christophe Quemard. Additional investments, existing or planned, are in places like Kenya, Ethiopia, Nigeria, Algeria, Morocco, Iran and Tunisia. PSA whose brands include Citroen, DS and Vauxhall would initially roll out two 4x4s, the Opel Grandland X and Peugeot 3008. A joint enterprise agreement with the state owned Namibia Development Corporation is intended for market growth mostly in the Southern African Customs Union. The agreement in which Peugeot will form a joint enterprise with the state-owned Namibia Development Corporation will aim at the expanding market in the Southern African Customs Union, which comprises Swaziland, Namibia, Botswana, Lesotho and South Africa. The PSA group sold approximately 592,000 vehicles in Middle East and Africa, which is a surge of 54.5 percent. The Global sales for PSA Group were to an approximate 3.632 million, this includes figures for the newly-acquired Vauxhaull and Opel brands.